On 09/2015, Alyce and I welcomed our newest residents to Anamoose. 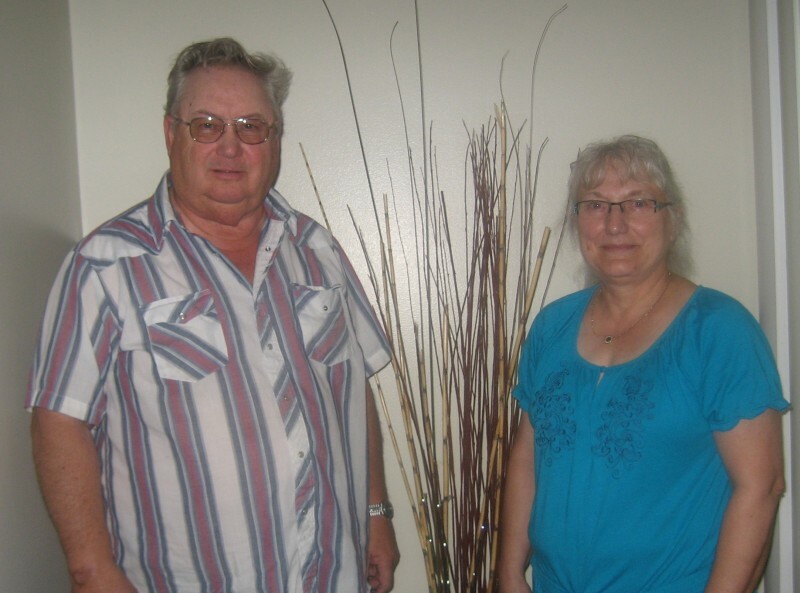 Robert & Dallas Johnson moved to Anamoose from Minot. They chose Anamoose because it is small, neat and friendly. They have been searching awhile and made the move over several weeks after purchasing Adam Ehrman’s home. Robert works for Dakota Agronomy of Minot and Dallas is retired. They were busy installing new drapes when we arrived and have a very cozy and nicely decorated home. Robert’s only hobby right now is football and was watching the Vikings play today. Dallas likes crafts, gardening and would really like to learn to quilt.